Balance of Nature is music that speaks to the heart of the listener with the peace and power of nature. 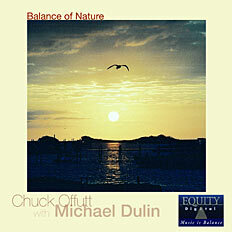 Dulin chose Chuck Offutt to join him for this CD, and he found Chuck to be the perfect musical partner. This album can melt away the stresses of the day, providing a musical massage for the mind. Very nicely done!